“Content is King, Linking is Queen” – Guest posting is currently the most popular practice to help you achieve good quality back link and great quality content to your blog. It’s a kind of partnership blogging where one blogger offer good place (blog) for another blogger to add great content. 1. As a blog owner, you will allow other blogger to write about any topic that match with your blog theme / subjects to post on your blog. The benefit: You will get more fresh content to your blog which will surely good for search engine and your readers. 2. As a guest poster, you will write good impressive, informative content that fit in your partner’s blog subjects to post on their blog. 2.1 You will have more chance to reach the new audience which is the potential to gain new readers to your own blog. 2.2 Chance for quality back link to your site or blog. 2.3 Chance to get double social media promotion either from you as an author and from the blog owner’s social networks. 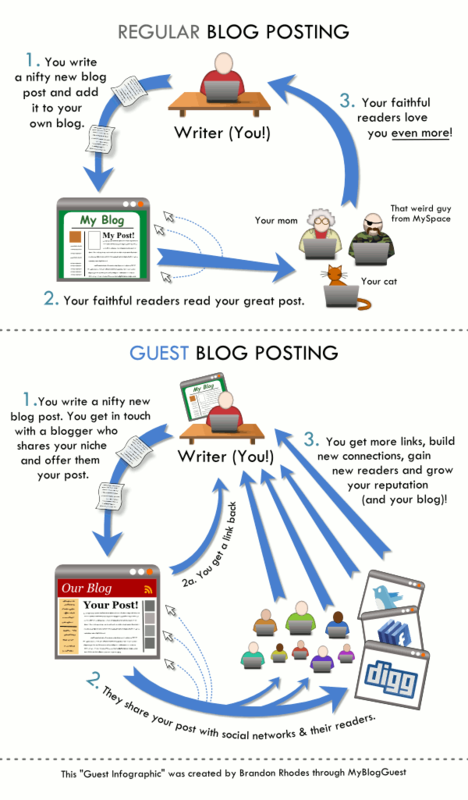 How important is guest posting? Guest posting is important to help get your blog noticed by reader and search engine faster. It’s a good way to receive good quality backlinks, good quality content, great opportunity to grow up your community and steadily build up your reputation. Your readers will also benefits from gaining insight & perspective from a new voice and the chance to discover another beneficial and informative site to follow as well. How to do guest post on Samui Art Gallery’s blog? 2. Your article MUST be original, no post somewhere else, neither before nor after posting on our blog. 3. Please sent you article in Microsoft Word format via email to rose(at)samui-art-gallery.com, including a few images for your article attach in the same email. 4. You may include some internal links on your post (links of relevant articles on Samui Art Gallery). 5. You may also include link to your blog (not an affiliate link). 6. Post should be between 400 – 1000+ words. 7. Not forget to attach your author bio and your Gravatar email address plus your Twitter username. We will review your article, usually within 2 days. In some cases we may edit your article title or some part of it just to make it more interesting to reader and to help with SEO but it will not effecting your topic or changing its meaning.